The Coca-Cola Roxy, Atlanta's brand new concert venue, opened in April of 2017. The 3,600 capacity venue is located in The Battery Atlanta, a mixed-use development next to SunTrust Park, home of The Atlanta Braves. It is conveniently located near the intersection of interstates 75 and 285. The legendary Coca-Cola Roxy Theatre was originally located in the heart of Buckhead and was one of the Southeast's premier music venues before closing in 2008. The new two-tiered intimate venue has a flexible configuration including a general admission floor, theatre-style seating and permanent seating in the balcony. Both levels are ADA wheelchair accessible. The 53,000 square foot site has state of the art sound, lights and production capabilities for live music, corporate meetings and private events. Coca-Cola Roxy hosts approximately 40 shows per year and presents a diverse range of local, national and international artists and bands. Coca-Cola Roxy complements the vast array of existing Live Nation venues including Tabernacle, Chastain Park Amphitheatre, Lakewood Amphitheatre, Verizon Amphitheatre and Buckhead Theatre. We are located in The Battery which has multiple parking decks managed by LAZ Parking. The Orange and Delta decks are the closest to our venue. You can purchase advance parking as an add on when you purchase your tickets online. More information on parking at The Battery can be found at www.batteryatl.com/directions-parking. 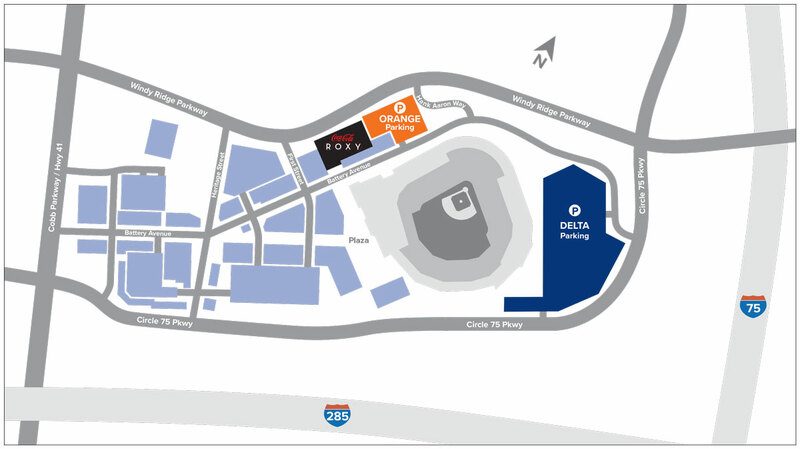 On Braves game days, parking availability may vary. More information for game day parking can be found at www.Braves.com/parking. Coca-Cola Roxy does not own or operate any of the parking lots, and we are not responsible for parking rates or for vehicles left on the lots.